Thank-you, Sheriff DeRosier for your service and your sacrifice. My heart and my prayers are with your wife, your daughter, and your family as they grieve the sacrifice you had to make so that we can live in peace and safety. Well done, good and faithful servant. Your sacrifice will never be forgotten. Godspeed brother you fought the good fight. Your sacrifice will never be forgotten, you fought the good fight. Godspeed brother. God Bless you Deputy Sheriff Justin DeRosier ❤️, Rest In Peace. We are so thankful to you for your service, your devotion and your sacrifice. We are so saddened by this terrible news!! Our thoughts and Prayers go out to your family, and all of your sisters and brothers in Blue that protect us. God bless you all!! My deepest condolences to the family of Deputy Sheriff Justin DeRosier, especially to his wife and child. May his soul rest in Heaven. Frank J.Corasaniti II,Retired Fire Lt.
Lord God, our hearts and prayers go out to the Cowlitz County, Washington Sheriff’s Office and for the family, friends, and colleagues of Deputy Sheriff Justin DeRosier, of the Cowlitz County Sheriff’s Office, who was shot and mortally wound in the Line-of-Duty on Saturday, April 13, 2019 and died of his wounds on Sunday, Apeil 14, 2019. Depart, dear Brother-in-Blue, out of this world into the arms of the Father who created you, into the arms of the Son who redeemed you, and into the arms of the Spirit who made you whole. “You have fought the good fight, you have finished the race, and you have kept the faith” [2Timothy 4:7]. Now rest easy in peace. We will take it from here. Amen. Rest in peace brother. My heart goes out to your family. God Speed. We will take the watch from here. See you on the other side. RIP Brother. You will be deeply missed. Another great one gone too early. Rest in Peace Deputy DeRosier. You will be missed. 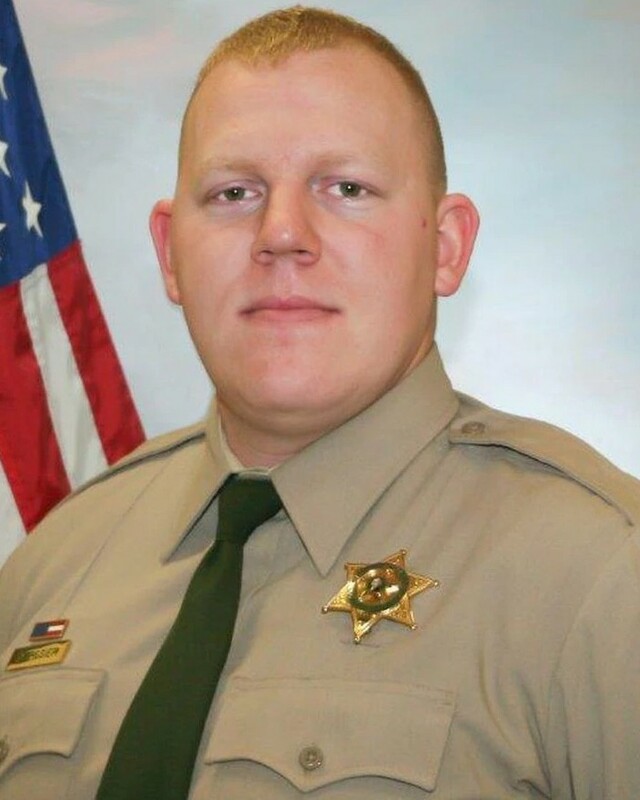 RIP Justin - my heartfelt condolences to your family, your brothers & sisters at the Cowlitz County Sheriffs Office and the citizens of Cowlitz County. BLUE LIVES MATTER. Thank your service. Prayers for your Family and your Department. RIP, good and faithful servant. God has already reserved a place for our defenders. Please continue your watch over us. Our prayers to the family and department. Blue lives supporter Steven C.
Rest in peace Brother Justin. On behalf of the Ohio Bureau of Identification & Investigation, our thoughts and prayers are with the immediate family of Deputy Sheriff Justin DeRosier and the extended law enforcement family of the Cowlitz County Sheriff's Office, Washington. End of Watch Sunday, April 14, 2019.